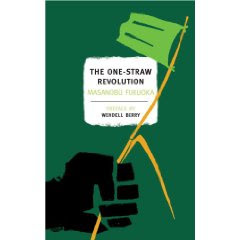 One Straw Revolution, An Introduction to Natural Farming, Fukuoka, Masanobu © 1978 – soon to be reissued in June, 2009. Fukuoka's first book on his extensive work in Japan. Decidedly with a Japanese bent (his main crop is rice and barley), he still presents a lovely description of his farming efforts that began as a reaction to the Western idea of agriculture and more that began to infiltrate Japanese society in the 1930's. His work continued until his death in 2008 (at 95). The Road Back to Nature, Fukuoka, Masanobu © 1988 Out of print, but you can find copies reasonably priced on eBay, used copies are almost $70 from Amazon. From the back cover: Fukuoka's reflections on his trips to Europe and to America, his sense of shock at seeing the destruction wreaked in the name of agriculture. A collection of his lectures, articles and essays which outline his thinking on nature, God and man and his underlying optimism that good sense can still prevail and we can still turn it all around. 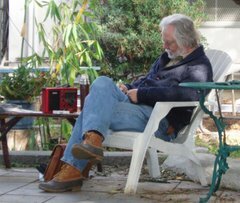 A collection of articles, lectures and essays recording his impressions as he travels the world talking about his revolutionary 'do-nothing' agricultural methods. There is a spiritual side to a lot of his thoughts and an optimism that a change in lifestyles and farming methods could yet heal the Earth's wounds.